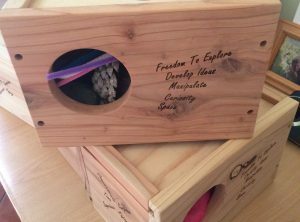 The Infant Imagine Box is for 0yrs – 1 1/2yrs and is about exploring different items of texture and colour and having fun with the contents. 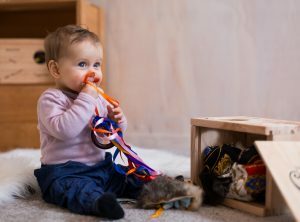 The key concepts for the infant box are; predictable, dependable, help, encouragement, individual, regular time to play with the box, familiar activities and then gradually new activities and things, unhurried with a adult, variety in play spaces and surface – smooth, floor, grass, carpet, indoor and outdoor. The activity book that come with this box has instructions on how to set up a heuristic play environment and also activities that are based on the contents of the box and the ECE Curriculum. 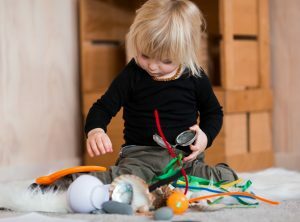 It is a mixture of heuristic play and some adult lead child discovery and explorations. It arms you with the words and knowledge to foster your/the child’s natural instinct to explore and play. 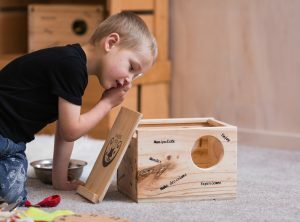 The Toddler Imagine Box is for 1yr – 3yrs olds and is about experimenting with the different items to see what they are like and can do. 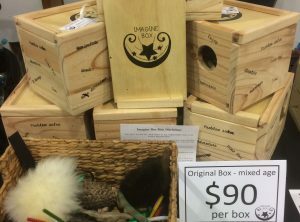 The Key Concepts for this Imagine Box are; independent with support, limited choice, resolve conflict – support for conflict and frustration, small group activities – solitary and parallel play, toddler lead and adult led, repetition and spontaneous activities, let them ask for help, active exploration with support. 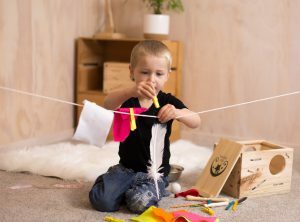 The Young Child Imagine Box is for 2 1/2yrs – 5yrs about experimenting on a deeper level with gravity and force to see what actions cause what outcome. 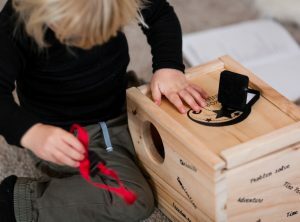 The Key Concepts for this Imagine Box are; Predictable with moderate surprise and uncertainty, ideas and questions, pretend play, watching and imitating, practice story telling, sharing and taking turns, fun cooperative activities, fairness, justice, into into new social skills, others feelings and attitudes are understood, early maths concepts, creative events over a few days, humor and jokes, talk about play and develop reflective skills, gross and fine motor skills, purposeful problem solving, give reason for choice and argue logically, explore changing things hot/cold, wet/dry, soft/hard, explore movements of objects, spatial awareness. Imagine Box is a Heuristic and Educational box full of object’s for infants & toddlers to explore. It encourages them to use their imagination. The objects within the box come from the natural environment and the household. It includes objects with different textures, weights, sizes, malleability, sounds, and colours to provide diverse opportunities for a child. Discounts available for orders of multiple boxes, please contact to discuss.